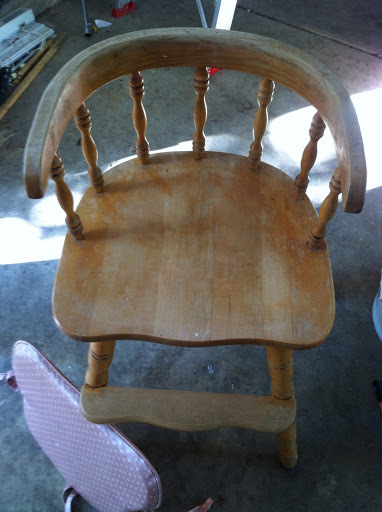 I went thrifting with my girls and mom-in-law the other day and I picked up this old high chair for just $4 bucks. I knew I had to have it as soon as I saw it. 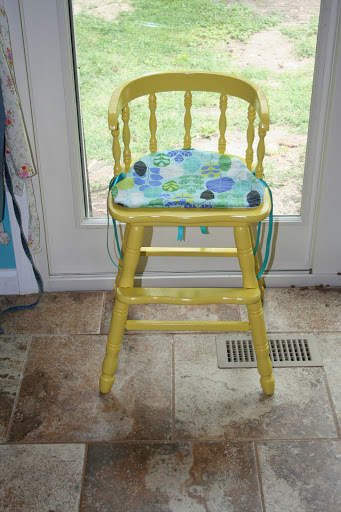 I picked up 2 cans of Rust-oleum Gloss Sun Yellow and gave this chair a quick make over. I also made a new seat cushion but I have yet to get a form for it. This entry was posted in Decor, DIY, Home/Family, Photography. Bookmark the permalink.